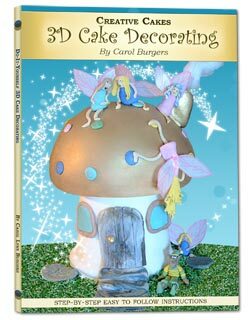 Cake Decorating Book - Learn how to make 3D cakes today! 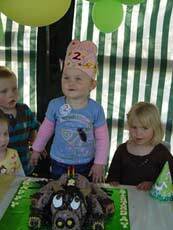 "When planning my daughter’s 2nd birthday party, we decided on a farm animal theme as she absolutely adores farm animals, in particular horses. 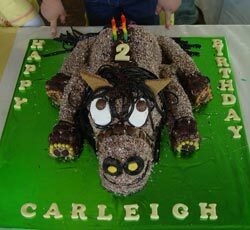 I searched all over to find a ‘horsie cake recipe’ and finally found the Creative Cakes website. I purchased the online book and was surprised on how easy it seemed with the step-by-step pictures. I baked the cakes on the Friday evening and started ‘icing’ on the Saturday night, using the cakes and shaping the horse with chocolate and plastic icing, as indicated in the book I purchased. 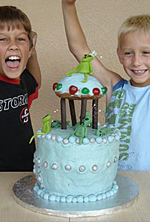 I used a merange icing which I covered with coconut and to make it more kiddie-like, I used brown smarties, small astro’s, liquorice and waver biscuits to decorate the cake. 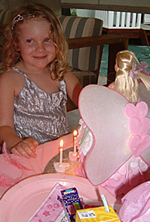 She was amazed when she saw the cake and I received so many compliments." 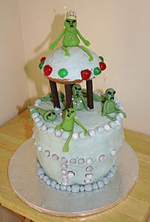 "I decided to get creative and try a few of my own ideas on this cake and I must say, I was very impressed with the result. Thanks again!" 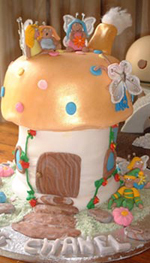 "Everyone was VERY impressed with my efforts and my children were absolutely DELIGHTED with their cakes, so thank you for your inspiration and your e-book – we look forward to the next edition!" "I am thrilled with your e-book, thanks!" 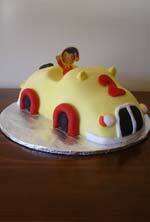 "Thankyou so much for your assistance with the tips for making the Noddy Car Cake. 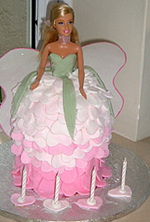 Everyone thought that I had bought the cake... when they realised I had made it myself they were surprised. 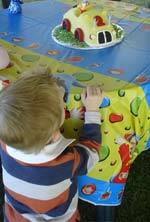 When they had a slice of the cake they were even more pleasantly surprised that it was made by me it was yummy. (thanks to your Madeira Cake recipe). I cheated even more & instead of figurines I used a thin cardboard cut out of Noddy which believe it or not was a tag from my son's Noddy Pyjamas, then attached a toothpick to the back with cellotape and cut off the legs to the knees which made it look like Noddy was in the car! I took on board what you said to get creative!!! 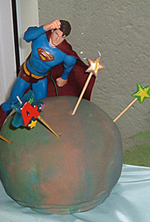 To my own surprise, I still can't believe I accomplished the cake, I still keep looking at the cake on our photos. 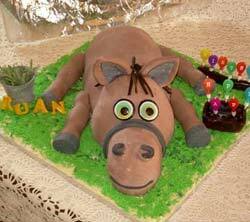 "Thank you for the e-book and recipes, here is the horse cake I made for my nephew. I think everybody can use your book." "I want to say a BIG thank you so such a wonderful book. 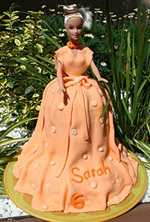 I’m really enjoying making cakes for friends and family! I’ve started a little business from home and the responses I get from my customers are amazing! I’ve attached a couple of pics for you to see. Let me know when your second e-book will be available"
"Wow! 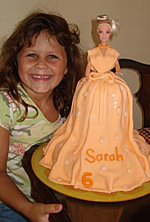 What fun I had making this cute cake. I didn't think I could do this and it turned out AMAZING! 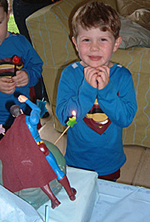 The kids went crazy - thank you soooo much for helping me make my boys birthday a success!"